Our unique boutique orchard is located at Woori Yallock in Melbourne’s beautiful Yarra Valley. We currently grow around 450 varieties of fruit and have at least 8 varieties of fruit every day of the year. 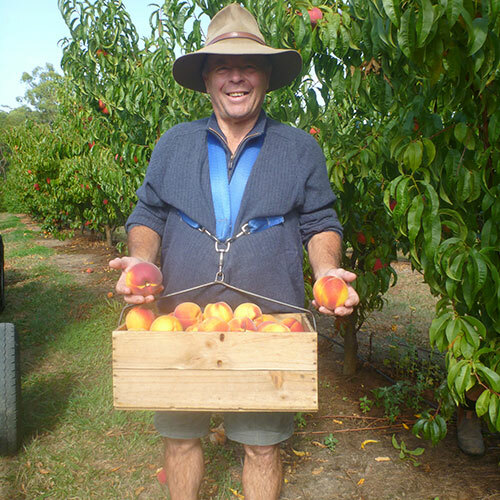 We run tractor fruit tasting adventures every day where you learn about different varieties of fruit, taste and compare their flavours and textures. U Pick is usually available on tractor tours. Visit our farm shop and café where you can have a coffee, meal or snack. Our café serves a range of wholesome farm-style meals and our farm shop sells a large range of natural fruit products all made without anything artificial. Fruit Bottling Workshops run every day. You’ll learn how to preserve fruit the old fashioned way in our custom made bottling kitchen. Discover our new function room. It’s ideal for weddings, parties, conferences & other celebrations. We offer special deals for kid’s parties, birthday parties and other special occasions.